I have to tell you that I am really annoyed. Just last night, April 23, I happened to see on ABC News, the story of a meteor (or meteoroid, if you wish to get technical because it was still in the air) that had been seen over Nevada and California. It lit up the sky, roared above the witnesses, and generated any number of calls to emergency numbers whether 9-11, or sheriff and fire departments. It seemed that almost everyone knew, pretty much was it was. An astronomer said later it was probably a small asteroid, about the size of a minivan that had exploded above the ground. He said one this size hits the atmosphere about every year. Bits and pieces of it were picked up and I suspect the Meteorite Men (of Science Channel fame) were probably there within hours finding more. They played the theme from X-Files. They made reference to UFOs. All in good fun. Except no one, but them, thought of this. The question is, "Why?" To me, and I’m sure the people who are interested in these things, meaning meteorites, we didn’t need the landscape cluttered with UFOs and the X-Files. I enjoyed seeing the pictures and wondered why there was no video of this event. Surely a security camera somewhere, or someone with a cell phone or I Pad, managed to get a little bit of it. Anyway, ABC proves, once again, what is wrong with the MSM (Main Stream Media). They just can’t help themselves. They just have to inject a bit of personal opinion into the news... and was it news on Monday night when they reported on it? Everyone I know had already heard the story and seen the pictures. I have received the open letter that Dave Aaron sent about his lost tape of the alleged Mack Brazel/Walt Whitmore interview. It is a rant of twelve pages that takes twists and turns that have nothing to do with the interview but goes off into directions to support a point that might not be defensible (and which has now been altered to correct some of the errors he made). Let’s look at some of the facts that don’t seem to be in dispute. According to what he says, he received an interview that he said was of Mack Brazel and Walt Whitmore, Sr., the majority owner of Roswell radio station KGFL. He said that a letter came to him from someone who said he had the tape of the wire recording, but Aaron couldn’t remember who, and that he offered the tape for sale, but can’t say who bought them. All of this was destroyed when, apparently, the city removed everything from his house or to be precise, the house he had once lived in and in which his material had been stored. In other words, no evidence remains to tell us who had the tape (or wire recording), where he might have gotten it (remembering that those in Roswell told us that the original had been confiscated and that the KGFL studio had burned and all their records were lost), or how he would know that the voices on the tape were those of Mack Brazel and Walt Whitmore. Based on my phone conversation with Mr. David Aaron, who owns an extensive UFO library of photographs and related videos, I was able to quickly arrive at the final solution to his claim of having received the long rumored Brazel interview. Mr. Aaron had received an anonymous letter in 2003 with the claim, "My Dad recorded this interview about a UFO crash that happened back in 1947." It was also claimed to have been transferred from an original wire recording onto audio cassette tape. Mr. Aaron was made the recipient of a copy for the sole purpose of adding it to his collection and then offering copies for sale to the public. As recently publicized, there was a garage fire which all but destroyed Mr. Aaron's collection. Almost everything is either fire or water damaged and believed to be beyond salvaging.Mr. Aaron states that he originally only listened to a short portion at the beginning of the tape in question. He did not make notes. He did not have the tape transcribed. To the best of his recollection he sold nine copies since 2003. All of the invoices and sales records were destroyed in the fire. He does not have the original letter or does he remember the name of the gentlemen who first contacted him. Mr. Aaron advertised the tape as the Brazel/Whitmore interview based on his own reading of the Roswell Incident. As to the original owner, the names of Whitmore, Roberts or Joyce were not correct. He has never had any further contact with the owner and does not remember the city or state from which it arrived. He is not aware of anyone else possessing a copy. He informed me that it was an interview of Mack Brazel at radio KGFL. As we know, the only interview Brazel did on the air was recanting the flying saucer story. Mr. Aaron remembers that Brazel proceeded to describe all of the strange debris up at the ranch. Mr. Aaron also recalled that as part of the announcers introduction of Brazel, he remarked, "Well, it's been couple of interesting days here in Roswell..."
My conclusion, simply put, is that someone claimed that the fictionalized interview of Mack Brazel and Frank Joyce at KGFL from the ROSWELL movie was the genuine article. It was audio-taped from the movie and nine years later, passed off to a collector of such artifacts, David Aaron, as a historic missing piece of the Roswell story. Without a copy of the original tape and no paper trail to the owner, all the facts point to a forgery. Until any additional information is forthcoming, this tale was just destroyed by the same fire. For me, this ended the story. There were no records to provide the names and addresses of anyone. There was no way to verify that the voices on the tape belonged to Mack Brazel or Walt Whitmore, Sr., and there was no way to contact any of the people who might have bought the tape so that we could get copies to listen to ourselves. There was simply nowhere to go with this item because of the lack of information about it. I noted in my original story that unless or until someone who had bought the tape came forward, there would be no real answer for this, but based on the apparent remembered first line, it seemed likely to all of us that the interview was the one from the Roswell movie. As I said then, I could hear the voice of Bob Gunton saying it. There really wasn’t much else to say about it, until now. Aaron, it seems, was annoyed with my story and makes some claims about it. So, let’s look at it from a different perspective. that the city destroyed his collection. The author, Ryan Dube at Top Secret Writers.com, wrote, "In July 2011, the city of Calimesa, CA destroyed one of the largest single video and audio UFO collections in the world in a single afternoon." Please note the use of the word, "Collection." That will become important later. The story continued, "...this event really happened at a small house in Calimesa. Sherry the woman that lived at the house was found passed–away in the house on Tuesday [that is, July 2011]. By Friday, the city had hired Ecology Control Industries (ECI) to clean out the house." The story explained that the house was "formerly owned by both Sherry and her former boyfriend – David Aaron." So the crew came in and moved Aaron’s collection (please note that I use the word advisedly) out of the garage into a large container to take to the dump or to be destroyed. No matter how you view it, this massive library was in ECI’s way and nothing Aaron could do would stop them so late on a Friday afternoon. The point here is that, in the end, everything that was housed in the garage, the good, the bad, the awful and the historic, was lost. At least according to Aaron (and this is supported by pictures posted at the Top Secret Writers web site). Aaron, wrote, in his open letter, apparently quoting me, "Dave received the audiotape in 2003." He responded, "Not true it was 2005 as it was the year I was helping homeless people." All well and good, but let me point out that the letter no longer exists so we don’t know the date for sure, and since the conversation with Don wasn’t taped where the 2003 date was used, we don’t know what Aaron might have said. Maybe he told Don it was 2005 and Don got the year wrong... or maybe he, Aaron, made a mistake with the date. The real point is that the original letter is gone... destroyed in some fashion, so we can’t verify the date. Please note that he takes such offense at my use of the word "collection" though the original story by Rube used the same word. Please note that "library" is defined as "a collection of books," and note that he was so annoyed that he put in the capitals and the underlining. Finally, please note that the quoted line by me appears nowhere in my story on the case. I said nothing about a flood. This is his invention. He continues, "Kevin in his blog goes on to state, "that neither he (me [here meaning Aaron, in case you’ve lost track in the confusion of pronouns]) Nor his source thought to contact any of the researchers who specialized in Roswell, nor that he did not take the tape to any news organization for release... WRONG AGAIN MR. RANDLE!" He added, "Whom did I first contact about this audiotape? Not 1 but 3 emails, all sent from a different computer to non–other than MR. KEVIN RANDLE! Stating that I had information about the Roswell case that might be of importance. I asked the person that sent these email for me countless times if Mr. Randle responded to the email. The answer over an 8 month period was no!" All well and good, except I did not receive any such emails. He might have sent them, and probably did, but they were lost in cyberspace at a time when most of my email was coming to me through my Army Knowledge Online account, and my time was being taken up by my military duties. So, if he reached out to me, I did not know it and did not respond. If he reached out, then it was a proper thing to have done and I’m sorry that we didn’t make a connection. Later he wrote, "He [meaning me here] did not want to write the case as I related it to Donald Schmitt, and any excuse would do to add the words fire and flood to the destruction of our UFO audiotapes. Well so much for investigative journalism." Except, of course, I didn’t say flood and I did get the word fire from Don and Don got the word fire from him. Aaron emailed me on April 19, 2012, saying, "I told Don that it was a possibility that they burned it up." So neither Don nor I invented the fire as Aaron now admits. Of course the question that comes to mind is if the stuff was taken to the dump, could he recover some of it? Or, once there, because it was considered to be hazardous material, was it burned? He wrote to me that he had tried, eight times, to learn the fate of his material, but failed to do so. He provided pictures of the guys in white coveralls who were cleaning the house, but they don’t seem to be wearing face masks or any sort of head gear. Just white coveralls to keep their clothes clean as they emptied the house of all its material whether it related to UFOs or was the furniture and belongings of the owner. I said his collection had been destroyed, though I should have labeled it as a "library," according to him. This criticism over terminology seems to only apply to me. I said that he received a tape from an unknown sender (meaning simply that he no longer knew the name, could not recover the name, and that the original letter was gone.) I said that there was no way to verify that the tape was of Mack Brazel and Walt Whitmore, given that both men were long dead and those who had the best chance of recognizing the voices were dead. (Well, I didn’t say that exactly, just that we couldn’t verify the voices on the tape). But when I said his "collection," he became annoyed with me. He continued his rant, as if we had something against him. He wrote, "It seems that the recording we had of the BRAZEL/WHITMORE KGFL 1947 interview, somehow thought, ‘I got confused with the motion picture Roswell, and just listened to the audio track from the movie ROSWELL, where the director and the writers re–created that KGFL interview for the film. Schmitt and Randle, think someone tried to play or plan a hoax on THE CLEARINGHOUSE... Nothing could be further in error that Schmitt and Randle’s explanation of what I heard on that audiotape!" And now for another point, Aaron wrote, "I kick myself today that I did not listen to that entire audiotape." He didn’t even listen to the whole tape? Then how did he know what was on it? He didn’t listen to it. He then wrote, "So it was easier for Schmitt and Randle to come up with a cockamamie answer to what I listened to on that now destroyed audiotape." In other words, he can’t prove that he ever had a Brazel and Whitmore interview, nor can he tell us what was said on it because he didn’t listen to much of it. Here was something that he described as important Roswell information, so important that he apparently sent me three emails about it, but he didn’t have the time to listen to the whole tape. He doesn’t have the letter that told him about this. He doesn’t have the invoices of from those who bought the tape. He has his memory of what was said at the very beginning, he did not verify that the voices were actually those of Brazel and Whitmore, and yet we have become the bad guys in this. Just what the hell we were supposed to think about this tape, knowing that those who worked in the station in 1947 said the wire recording had been confiscated, and that the studio burned some years later, destroying their archives. When it comes down to it, Aaron can’t prove anything about the tape. He can’t prove where it came from. He can’t prove that there was a tape (oh, he says that it’s listed in a catalog and that would prove there was a tape, but not what was on it). 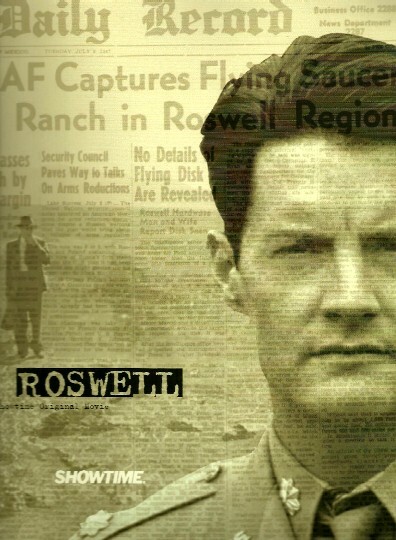 According to Don, as you saw above, Aaron said the opening was, "Well, it’s been a couple of interesting days here in Roswell," and that is a line right from the movie. I could point out that he takes issue with my use of fire, but then said the material might have been burned. He wrote that I said something about a flood, but there was nothing about a flood in my posting. The only remaining point of dispute is the date and for all we know, he might have said 2003 when he meant 2005. Now, if I wanted to play this game to the end, I would point out that Aaron wrote, "For you see Kevin Randle was helicopter pilot in Iraq in 2003 and 2004. (And possible in Vietnam.)" Nope, I was an intelligence officer in Iraq and a helicopter pilot in Vietnam, as I have said on many occasions. Are these minor errors of great importance? Not really. I was in Iraq and I was in Vietnam and I was a helicopter pilot there. He just got a little confused. (He now writes that he will up date that information on his open letter, so he corrected the inaccurate information.) But I see no reason to ramble for twelve pages over something like that... besides I can prove these points, something that has been lost on Aaron. He can prove nothing about the tape and until he can, there is nothing to this story except the sad fact that Sherry has died, Aaron’s collection was taken to the dump and his word about what was on the tape does little to confirm what it was. This whole UFO thing is becoming quite confusing with little bits and pieces dropping in from all sorts of places. As I wrote a while ago, I had been driving into the Hy Vee grocery store parking lot when I got a call from someone wanting to talk about William Rhodes (See a series of postings in October 2010). That set off a bit of an investigation into the photographs he had taken on July 7, 1947, in Phoenix, Arizona. The Air Force worked hard, I thought, to discredit Rhodes and their investigation into his background was some what snarky on the surface. They maligned his occupation, suggesting he was little more than a third-rate musician who lived off his wife’s salary as a teacher. They didn’t think much of his Panoramic Research Laboratory which seemed to be a well-equipped home lab, and overlooked that he held a number of patents. They mentioned that he claimed to be a doctor, but could find no reference in the telephone director showing that he was a physician or a vet, apparently never considering that he might hold a Ph.D or looking for other documentation besides that in the telephone book. As I have noted before, this question of a post-graduate degree is a somewhat murky area and as James McDonald suggested, clouds his otherwise interesting tale of taking two photographs of a flying saucer. For some, this issue is enough to suggest the Rhodes photographs are a hoax. For others it is an aberration that suggests something about Rhodes’ personality but does not mean the pictures were faked. I mention all this by way of background to a new point. I have been working on a book for Visible Ink Press and one of the things I have been doing is revisiting the Maury Island sighting. This took place on June 21, 1947, which is only a couple of days before Kenneth Arnold made his sighting, but it received no publicity, or interest, until after Arnold’s report exploded all over the newspapers and the world. George Earley, who describes himself as an “Opinionated Oregonian,” and who had researched the case for a long time, published a four-part series in UFO magazine about the Maury Island case. (I will note here that Bill Birnes who is the publisher of UFO and who, on UFO Hunters on History (which used to be the History Channel, but they do little history any more), investigated the Maury Island case, published Earley’s series which seems to conflict with Birnes’ opinion of the sighting. It is always good to see opposing opinions freely stated without acrimony, but then, I digress). You’re all probably wondering what this means and how does it all tie together. Simple. Earley, in part four of the series, mentioned that Arnold, who was investigating the Maury Island sighting for Ray Palmer of Amazing Stories, believed that he had gotten himself in over his head. Arnold just wasn’t sure what to do, but remembered that Lieutenant Frank Brown, who had investigated Arnold’s sighting, had told him to call if he had any questions. Arnold did that, calling Brown at Hamilton Army Air Field in California. It is clear to me, that those pictures were the ones that Rhodes had taken since there are no other photographs taken in July 1947 in Phoenix, Arizona. It is interesting that Brown mentioned Hamilton Field because Rhodes does the same thing. And Hamilton Field was part of the Fourth Air Force in 1947, and Rhodes had communications with officers at Fourth Air Force about his photographs as well. Now I realize these statements, uttered so long ago by officers who would be dead a few hours later (their B-25 crashed and burned), doesn’t mean much in and of itself. But still it is an interesting bit of information buried in a long story about the Maury Island hoax written by Earley, a man who has long studied that case and is well-versed on the ins and outs of it. And no, there is nothing more we can do. Brown and Davidson died within hours of the conversation., Captain E. J. Smith, an airline pilot who was also in the room during the discussion and who had his own UFO sighting on July 4, 1947, and Kenneth Arnold who asked the question are both gone as well. 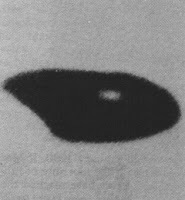 We only have the information provided by Arnold so long ago in his writings about UFOs, about a case that he didn’t investigate with pictures he probably didn’t see, and what we all know about the Rhodes photographs. It is interesting, as I say, but doesn’t prove much one way or the other. Not all that long ago a story appeared about a fire in California in which a man, David Aaron, said he lost all of his collection of UFO related materials. Included in that was a reported interview of Mack Brazel telling about the UFO crash on the property he managed. If such was the case, it was something that I have never heard, and it was something that surprised others who had been researching the case for years. But more importantly, we might be able to learn something about what had fallen from the mouth of the man who had found it. The letter also said that the recording had been transferred from the original wire recording onto cassette audio tape. That, of course tracked with what we all knew, based on interviews with Judd Roberts and others. They had a wire recorder they used at KGFL for news interviews in 1947. Aaron said that he was able to make duplicate tapes and offered them for sale. I will note here that it seems odd that in 2003, when Aaron received the tape, that neither he nor his source thought to contact any of the researchers who specialized in Roswell, or that he didn’t take the tape to a news organization for release. And I wondered how you would verify that the voice on the tape was that of Mack Brazel which means that the source would have to provide some kind of documentation. Those who knew Brazel were few and far between in 2003, and I’m not sure that they would have recognized the voice after all these years if we could find them. Mack Brazel died in the early 1960s. Aaron, however, added it to his collection and offered copies for sale. He said that he had sold nine copies of the tape, which also seems odd given what it was supposed to be. I would have thought that it would have done a little better than that. He told Schmitt that he had made no notes of what was said, that everything was destroyed in the fire, that he did not have the original letter, did not remember the name of the man who contacted him, and he couldn’t provide the names of those who had purchased copies. What was interesting was that the tape wasn’t completely lost. Duplicates existed. All we had to do was find one of those who had bought a copy of the tape, but Aaron had no records of that either. Aaron advertized the tape as the Brazel/Whitmore interview based on his reading of The Roswell Incident. Schmitt asked if the names Whitmore, Roberts or Joyce were the original owner, but Aaron said they were not. Aaron told Schmitt that it was an interview with Brazel at KGFL radio, which suggested that this would be Brazel recanting the earlier, more exciting story. Schmitt recognized the line as soon as Aaron told it to him, and as I was reading the information provided by Schmitt, I recognized it too. This is from the ShowTime original movie, Roswell, with an actor portraying Frank Joyce (Bob Gunton) preparing to interview an actor (Dwight Yoakam) playing Mack Brazel. That seems to solve the riddle of how we all could have missed this. Someone audio taped the interview from the movie and presented it as the real thing. It explains why they hadn’t sent it on to one of the Roswell researchers. Almost any of us would have recognized it immediately. To finally put this to bed, we’d need to hear a copy of the tape, and there are nine of them out there. While that would prove it to be from the movie, Aaron’s memory of the opening line of the interview almost demolishes any possibility of this being the real thing. Just one more of the many interesting paths in the Roswell case.